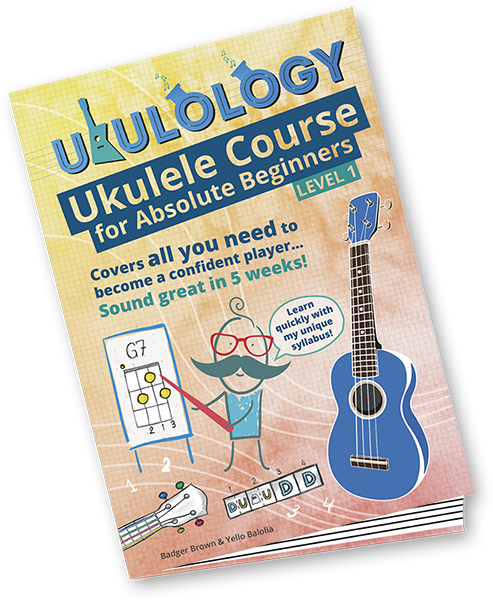 One of the best ways to improve your ukulele playing is to learn easy ukulele songs. Not only will it make your practice more fun, but as well as learning new chords and rhythms, you’ll have a repertoire of songs you can perform too. Here’s one of the classic easy ukulele songs to learn: Don’t Worry, Be Happy. 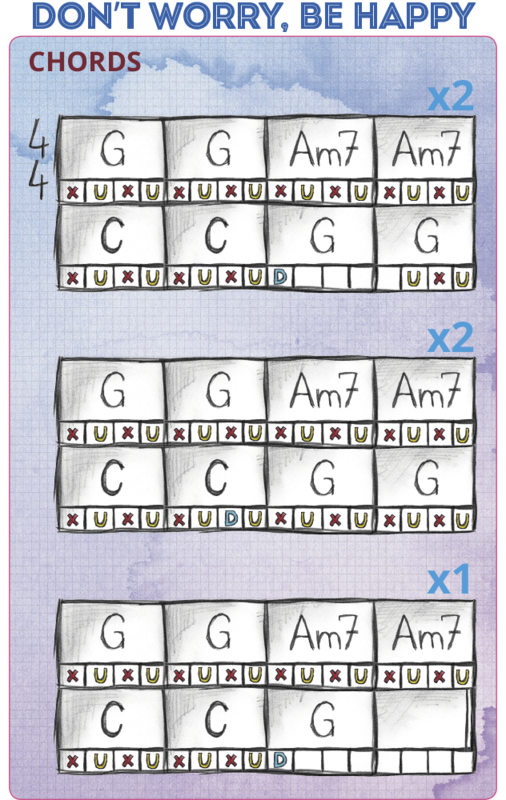 Notice that the chart not only shows you which chords to play, it also shows you the rhythm to play, and whether to use a down strum (D), up strum (U) or dampen (X). The song has three sections, the first two sections you play through twice each, and the final section is just played once. You’ll see that they are very similar to each other, with just slight differences to the rhythm. Note how sometimes the rhythm is just one single strum on the first beat. You can also play the tune. 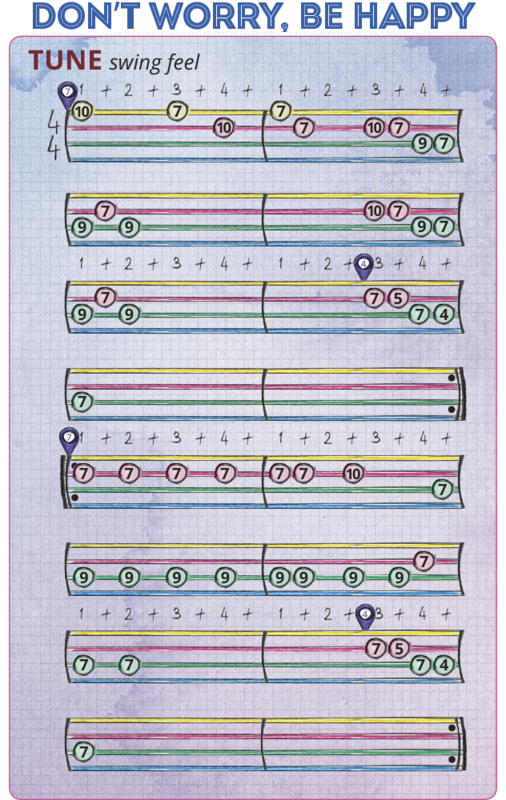 To show this, we change from chord notation to tablature. It’s quite easy to read. The lines are the strings (G, C, E, A from bottom to top) and the numbers on the lines are the frets to hold down. Play the individual string using a right hand thumb rest stroke. 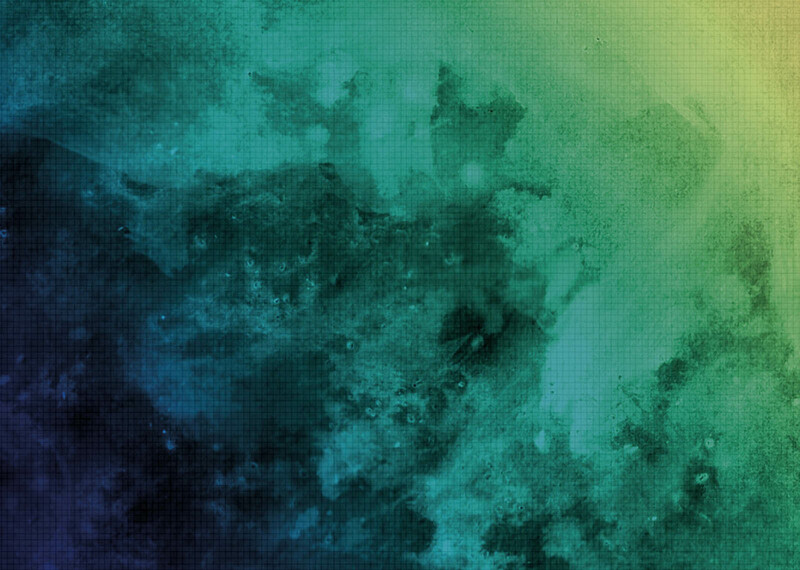 Try to keep your rhythm steady and your timing constant, even when changing chords. Remember, the song won’t wait for you to finger that tricky chord shape! 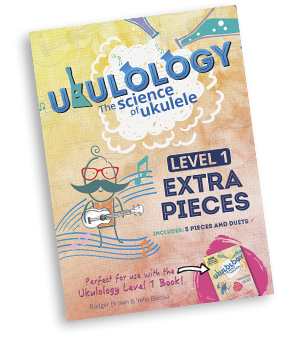 Use the demos and backing tracks from www.ukulology.com/bt to hear what it should sound like and play along to practice the different parts. When you’ve got it, find a ukulele playing friend to play along with, or even better, teach your friend to play! Don’t be scared of tablature, it’s much easier to read than standard music notation. 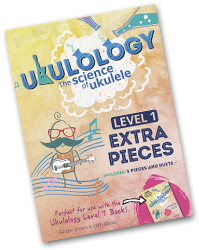 Simply fill in the form to receive the Extra Pieces PDF as well as chord charts, strumming patterns, backing tracks and more! Free arrangements of popular pieces!